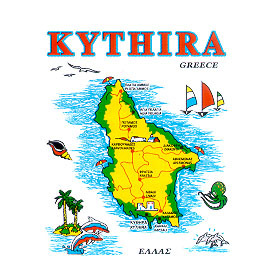 Silkscreen image of the Greek region Kythira. Style 383. 100% cotton.